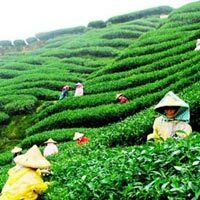 On your arrival at NJP railway station , we will take you to Darjeeling (7100 ft). You will be delighted with the "Queen of the hills" and you might even feel a thunderbolt within you, as you feel relaxed with a kind of unique experience of mesmerizing view of the hills all along the sides of the road stretching about 90 km / 3.5 hours of your journey up the hill to Darjeeling. On arrival at Darjeeling, enjoy the cool stay at the hotel room for charging up yourself for the next day. Sun and Moon never wait for us'- So your sight seeing starts pretty early at 3.30 am for a spectacular sunrise at Tiger Hill, the majestic Kanchenjunga range and the Everest peak that would never go from your memory. Tiger Hill is the highest mountain point at Darjeeling. On the way back, a visit at Ghoom Monastery (ESTD. in 1875) and the Gorkha war memorial would be a different experience. Batasia Loop and beautiful gardens around it would exalt the coexistence of the nature and the technology. Batasia Loop is the ancient technology to adjust the deep height/slope of the hill railway track for the smooth running of the trains. After breakfast at the hotel, you would proceed for sightseeing at various spots like the Himalayan Mountaineering Institute, the Zoo, Tenzing Rock, Labong Race Course, Tea Gardens, Rock garden, Ganga Maya Park, etc. Don't forget to pen down the marvelous thoughts for a nostalgic future before going to bed back in the hotel. In the morning after break fast, we will check out from the hotel and proceed to Gangtok (altitude of 1780 meters above from sea level). The 120 km (3-4 hrs) car journey would really be an adventurous trip, as one side of the road is with very deep valleys or covered by Teesta River and the other side of roads with teak plantations and Gamadi trees. On the way you would pass by Rafting area and the Sikkim Manipal Institute of Technology on the bank of Teesta river. Teesta River starts from North Sikkim 17000 feet above the sea level and that area is known as Tibetan Plate. After checking in the hotel you would be taken for local sightseeing. A visit to Rumtek Buddhist Monastery where continuous prayers and hymns create a spiritual atmosphere would help in gathering positive energies. Photography is strictly restricted there. The day starts at around 7am, traveling around 35 km to reach Tsongo Lake pronounced as Changoo" lake. Narrow roads, steep heights, zigzag curves and deep valleys make this a daring trip and all around greeneries, beautiful rare flowers and Yaks on both sides of the road turn an unforgettable journey. Tsongo Lake is an oval shaped lake with a deep of 50 feet and area of 1 km. Most interesting thing about this lake is that it will be totally frozen during January to April just like the Dal Lake in Srinagar. Overnight stay at Gangtok Hotel. passport size photographs. Also carry sufficient winter cloths, like sweater, jackets, winter head and ear gears, etc. The day starts with breakfast followed by local sight seeing. Following are the sightseeing places at Gangtok:- Jawaharlal Nehru botanical garden, Shanti view point, Do-Drul Chorten Stupa, Research institute of Tibetology, Directorate of Handicraft & Handloom Centre, Flower exhibition near White memorial Hall, Banjhakari Falls, Ranka Monastery, Hanuman Tok, Ganesh Tok, Tashi View point. Ropeway, flower show, zoo, etc. open at around 9 am. The number of places visiting would purely depend on time you spend at each place. Overnight stay at hotel. Post breakfast local sight seeing of Kalimpong includes The Thongsa Gompa is approximately a km from town and is the oldest monastery in the region. Built in the 17th century this monastery is of Bhutanese origin. Much of the original structure was destroyed in the inter clan wars before the British arrived. It contains the Kanguyar in 108 volumes that the Dalai Lama brought with him when he escaped from Tibet and also has a rare three dimensional mandala. Other places of interest are the Catholic Church, Gauripur House (home of the great Bengali poet Ravindra Nath Tagore), Mangal Dham a temple and the Zong Dog Palri Fo-Brtang Monastery located in Durpin Dara which is a fairly new monastery. There are numerous nurseries here as Kalimpong produces 80% of India’s gladioli and orchids. Overnight Kalim Day 07: Kalimpong- NJP for final departure. after breakfast morning free for shopping ,later you would leave for Njp railway station to board train for Kolkata. As you go home let the evergreen memory of 'Mystic Himalayan Kingdom' linger in your mind and the holiness of Sikkim will arouse a nostalgic feeling prompting your mind that a few more days should have been spent there. We are sure that you would resolve to visit the place again at an earliest opportunity.